Yesterday, while browsing through news online, I came across an article in a Connecticut newspaper, the Weston Forum, that explains the origin of the leap year. The article, entitled “Who put an extra day on the calendar?” was written by Kimberly Donnelly. I thought it very nicely explained the origins of the leap year and that a pope — Pope Gregory XIII — promulgated the calendar that we still use today. A year is a leap year if it is divisible by four (that’s easy). But, if the year is also divisible by 100, then it is not a leap year (there’s that century rumor), unless it is also divisible by 400. Ahh. So that’s why eight years ago the year 2000 was a leap year. In fact, it was the first century leap year since 1600. Julius Caesar and Pope Gregory, that’s who. Someone had to do something in order to keep the seasons from drifting into different months. The exact length of a year — that is, how long it actually takes the earth to revolve around the sun — is 365.24219 days. That means if the calendar year were just 365 days, the seasons, which are determined by the position of the earth as it orbits the sun, would shift a quarter of a day every year. Not such a big deal, until 100 years go by and autumn is beginning in mid-August, 25 days earlier than it used to. So, in 45 BC, Caesar decided to add a day at the end of February (back then, it was the last day of the year) every four years. This was an improvement, because now the average calendar year was 365.25 days, which was closer to the actual year, but it still didn’t fix the problem. At 365.25 days, now the calendar year was too long, and the seasons would eventually drift the other way, falling one day later every 128 years. In 1582, Pope Gregory was apparently bothered enough by the shifting seasons that he decided to do something about it. In one fell swoop, he changed the end of the calendar year to Dec. 31, he left 10 days out of October, and he added the “no leap year on a year divisible by 100 unless it’s also divisible by 400” part of the rule. I was so pleased to receive a number of comments last week from students of St. Paul School in Hingham. Our Catholic schools are a very important priority in the life of the Church. We are anxious for our students in Catholic Schools to learn about the Church, and certainly the blog gives them an opportunity to not only get to know their bishop a little bit better but also to see what is happening in the Catholic community throughout the archdiocese and in the universal Church. I was very pleased that they read the post and that they took the time to write. I hope they will continue to be blog readers and communicate with me through the blog. I look forward to visit the school some day. Like so many of our Catholic schools, St. Paul was started under the auspices of the nuns, the sisters of St. Joseph, in 1951 and after was staffed by the Sisters of Notre Dame de Namour for many years. The current principal at the school, Brother Richard Lunny, CFX, used to work with us in Fall River so I’ve known him for a long time. I wanted to share with you news about the Massachusetts Marriage Initiative, which is sponsored by the Massachusetts Catholic Conference. Their new website is already up and we want to share that with everyone in our archdiocese and beyond. I encourage you to visit and to learn more about the initiative. 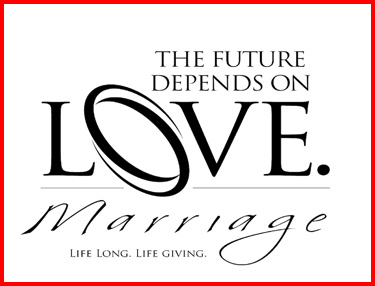 The theme of the initiative is “The Future Depends on Love,” and strives to educate Catholics concerning the truth of marriage as well as empower them to make a case for it to the wider community. One of the crucial tasks of the Catholic Church is to help people have a sense of vocation in their lives: the vocation to holiness, to friendship to discipleship and to a particular calling in life. We realize that God is calling most people to the sacrament of marriage. Therefore, this initiate will also help our young people to have a greater understanding of the sacrament and to prepare them better to receive it in a world where fewer people seem to be getting married. 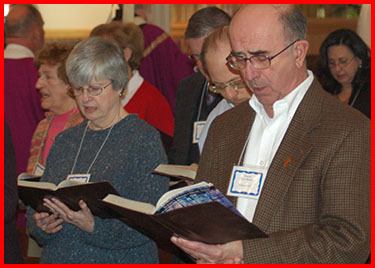 The Church in the United States has also embarked on various programs of education and catechesis around the theme of marriage. Currently, the bishops conference is focused on a marriage initiative for the entire the country called “For Your Marriage,” and the bishops conference will be publishing a pastoral letter on marriage in the near future. At the archdiocesan level, Kari Colella is working with a committee of people to improve our marriage preparation programs and to look at ways to offer our young people remote preparation so they have a greater understanding of this vocation of marriage. So, in fact, we have three different marriage initiatives taking place simultaneously although they are working with each other. That shows, in some way, how important we think marriage is for society and the Church. 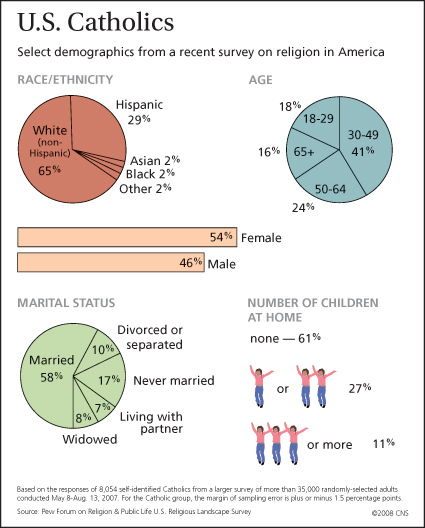 The Pew Forum on Religion and Public Life, released Feb. 25 its survey based on interviews with 35,000 adults last year. The “U.S. Religious Landscape Survey” showed that more than a quarter of Americans have either changed religious affiliations or claim no formal religion at all. The Catholic Church in our country has been greatly affected by this, but immigrating Catholics have kept Catholics as a quarter of the American population. Certainly the study is very significant and indicates the need for a renewed effort at the new evangelization. We must mentor our own Catholics in the faith. I think a great part of the problem is the difficulty of catechizing and mentoring young Catholics into the life of faith. In the past, we depended very much on cultural bonds. If someone was born into an Irish, Italian or Polish family, they were raised Catholic and identified completely with that heritage. Today, we see that people’s participation is much more intentional, which also has its advantages. The people are choosing to live their faith because of their own personal convictions and desire to live a life of discipleship, rather than just being carried along by folk religion and family customs. This change only underscores the great importance of faith-formation and it is one of the things that the archdiocese is certainly grappling with. We have been studying the faith formation of adolescents and young adults and have formed a new office — the Office for the New Evangelization of Youth and Young Adults — in order to strengthen our efforts and help the parishes. We must respond to the challenge of communicating to our young people a sense of personal vocation, a call to holiness and a call to a personal way of life — marriage, the priesthood, consecrated life, the diaconate and lay ministry. At the same time, we must also help Catholics understand that we have received a communal mission from Jesus Christ — to be a part of His Church and to announce the Gospel together, gathered around the Eucharist. In today’s highly individualistic culture, people are deluding themselves into believing that the way that you live your spiritual life is highly personal and isolated from the community of faith, but Jesus came to establish a people, a Church that is His Body. Therefore, we must communicate the faith but also mentor people in the faith. It is not enough to simply pass on information; we must help people to recognize in Jesus’ Gospel is a way of life. It is a way of life that is according to God’s will and one that, if we are faithful, will lead us to eternal life and happiness with God forever. Our mission is urgent and calls upon us to work to transform this world to be a more just and merciful society where the poor and defenseless are cared for and fed. And where our human community, living according to God’s plan, reflects the values of the Kingdom that Jesus announced in the Gospel. The study is very clear about the importance of the Catholic immigrant population here in the United States. 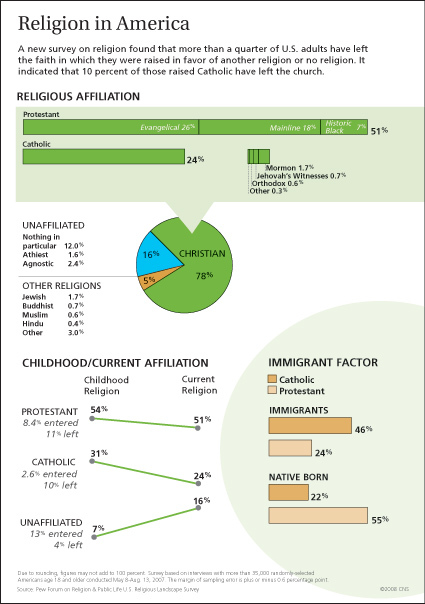 About half of all immigrants to this country are Catholic. 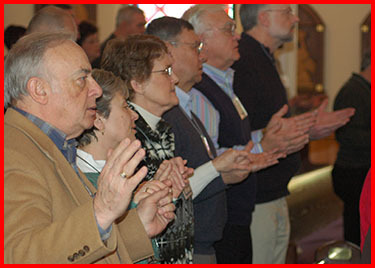 This has maintained Catholic participation to about a fourth of the American population, which is still a very considerable number, but does underscore a great need to be a welcoming community. We need to realize that we are an immigrant Church — today just as much as ever, and at the same time, look for new ways to evangelize our American Catholics whose religiosity is becoming less tied with their culture and more an intentional choice to be a part of the Church. The release of this study coincides with our bicentennial year. About 200 years ago there were probably 1,000 Catholics in Massachusetts and 2-3 priests. And in 200 years the Church has grown considerably because of immigration, because of the way people have responded to the Church’s message. Every generation has faced its challenges and opposition. Today, we continue to face new kinds of opposition in secularism and atheism. But people should not be frightened by that. Christ promised us that He would always be with us. His Church continues to grow in the world — there are now over one billion Catholics. Our challenges in the United States are great amidst a society that is very materialistic and tending towards greater secularism, that is trying to tell us to live our lives prescinding from God. The Church’s message is challenged in these circumstances, but we carry on knowing that the Lord’s grace is with us and that we have a mission to fulfill. I am edified by the commitment and love that so many of our faithful people have for the Church, which we must all witness to more openly. That will also be a call for Catholics who have stepped away from the practice of the faith to feel a new excitement about their faith and to feel welcomed to reconnect with their Church. On Saturday, I attended our annual permanent diaconate convocation with the deacons and their wives at St. Patrick Parish in Stoneham. The parish is such a beautiful church and facility for this sort of gathering. I celebrated Mass with them, had lunch and delivered a talk. We had a conversation, dialogue back and forth. It was an opportunity for the deacons to ask questions. The keynote speaker for the convocation, Deacon Keith Fournier, is a lawyer and completing his doctorate in moral theology at Catholic University. I was very impressed by him. We are very pleased that Deacon Patrick Guerrini is now in the Office for Clergy Support and Ongoing Formation, working on the ongoing formation of the deacons as well as the personnel department for their assignments. It has been a big help having him on board. 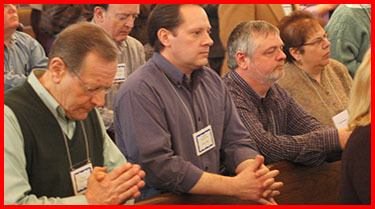 The ongoing formation of our priests and deacons is critically important. Both Father Bill Kelly, the office’s director, and Deacon Guerrini are working with the deacons in this regard. As I mentioned in a post earlier this month, we are poised to begin having deacon classes every year to increase the numbers of men involved in this ministry which, going forward, is going to take on even greater importance. 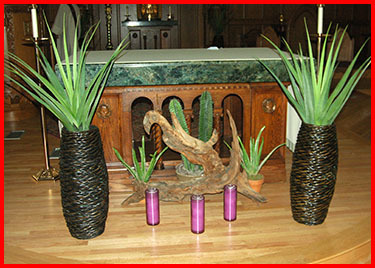 I have just been informed that St. Thomas More Chapel and The Propagation of the Faith Store are closing. In these busy and stressful times when everyone is working, it was always nice to be able to go to the store for mass cards, medals, etc. and to stop in the chapel and light a real candle. I know that I and many people who work in downtown Boston will be lost without the store and Chapel. Please reconsider. I enjoyed this blog because there was a lot of interesting information on it. My favorite part was about leap year. I think the article, by Kimberly Donnelly, was very well written in one of her paragraphs, Donnelly writes about Julius Caesar. Caesar was very interesting to read about although my favorite fact about him was that he decided to add a day at the end of February every four years. I also enjoyed reading about Pope Gregory XIII. I learned that he did not like how the seasons were shifting so he changed the calendar. He took ten days from October and changed the end of the calendar year to December 31st. 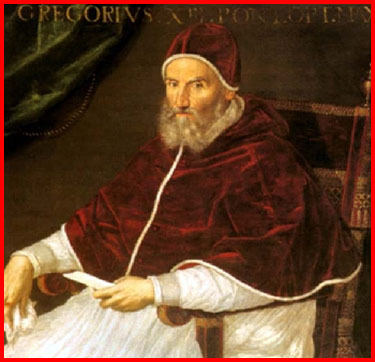 I thought it was very informative to learn how Pope Gregory XIII formed our year. I learned that he also added that there is “no leap year on a year divisible by 100 unless it’s divisible by 400”. I think it’s awesome how these facts are still in use today. Both Julius Caesar and Pope Gregory XIII kept the months from going into different seasons. Leap year falls on February 29th every four years. I will be 17 the next time a leap year comes around on a calendar. 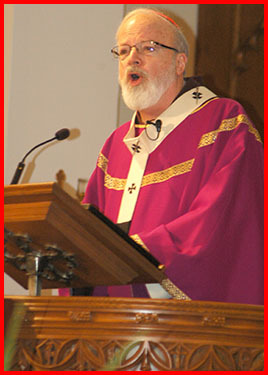 I really enjoyed reading about Cardinal Sean’s blog today. It felt good being recognized for something good that we have done. I was very interested in how many Catholics there are in the MA, RI, and NH areas, particularly in Massachusetts. I had no idea that so many Catholics worshiped in those particular areas. It goes to show that our faith is very important to us. Hopefully over the next few years there will be an even bigger increase in the Catholic faith. I was very pleased to hear that Cardinal Sean would like to come visit our school sometime. P.S. I have already posted this but it is not showing on our school computer. I think it is very interesting to know that half the Catholic population is immigrants, which has increased the Catholic population in the last 200 years,(this is very great). It is a big problem in which this generation has many young children who are being born into a different religion, or no religion at all. We as Catholics must inform our generation, and future generations about God and his wonders of life. As Catholics we have a responsibility to go to church and tell others about God, how he has performed miracles, and the wonders and works of Jesus. My reflection on the paragraph in Cardinal Sean’s blog is that I’m glad that Cardinal Sean includes the importance of marriage. It is also important that if you dont love someone you dont just marry him/her for money, or security you marry him/her because you love him/her. I aslo think it’s nice how Cardinal Sean includes the other percentage of religions in America , because I think it means he respects other peoples beliefs. Hi, my name is Christine. 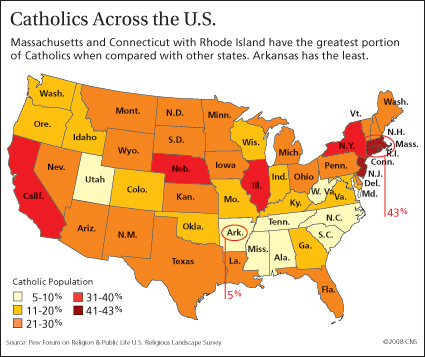 In Cardinal Sean’s blog, I learned about religions in the U.S. On one of the charts there were many facts on the amount of Catholics in each state. On another, there were specifics about Catholics, like how many children they had, or if they were married. Even though it was a considerbale amount of people, it just shows that we need to expand, and become a very welcoming church. I enjoyed this blog because there was a lot of interesting information on it. My favorite part was about leap year. I think the article, by Kimberly Donnelly, was very well written. In one of her paragraphs, Donnelly writes about Julius Caesar. Caesar was very interesting to read about although my favorite fact about him was that he decided to add a day at the end of February every four years. I also enjoyed reading about Pope Gregory XIII. I learned that he did not like how the seasons were shifting so he changed the calendar. He took 10 days from October and changed the end of the calendar year December 31st. I thought it was really informative to learn how Pope Gregory XIII formed our year. I learned that he also added that there is “no leap year on a year divisible by 100 unless it’s also divisible by 400”. I think it’s awesome how these facts are still in use today. Both Julius Caesar and Pope Gregory XIII kept the months from going into different seasons. Leap year falls on February 29th every four years. I will be 17 the next time leap year comes around on a calendar. I really enjoyed reading about your blog today. It felt good being recognized for something good that we have done. I was very interested in how many Catholics there are in the MA, NH, RH area. I had no idea that so many worshiped the most in those particular areas, MA being one of them. It goes to show that our faith is very important to us. Hopefully over the next few years there will be an even bigger increase in the Catholic faith and in more places. I was very pleased to read that Cardinal Sean would like to come visit our school sometime. My favorite part of cardinal sean’s Blog, was when showed the percentages of Catholic people in the United States. I found it odd that on the part it had the ages of Catholics, that it did not have ages 18 years and younger. I feel that there are many Catholic children in the U.S. and this information was needed in the polls. After all, children are the future of the Church. I found it interestoing that 61% of Catholic couples in the U.S. have no children. I guess that sometimes children keep you from going to Church. I would hope that couples would be dedicated enough to God, that even if they had children they would still go to church. I am Caroline and I go to St. Paul School. Most people don’t even think about that one extra day that reappears every four years. The Holidays are all over, (and so is February Vacation for the lucky people who live in Massachusetts and Maine) and school and work are settling back into their daily grind with warm weather too far off to see. But as insignificant as February 29th might seem, it actually has a rich (and complicated) history. If the calendar year were just 365 days, the seasons would shift a quarter of a day every year. No big deal right? Wrong! After 100 years, autumn would be beginning in mid-August, 25 days earlier than it used to. So, in 45 BC, Julius Caesar decided to add a day at the end of February (which was the end of the year then) every four years. While this still didn’t completely fix the problem, Julius decided he was tired, and let Pope Gregory do the rest in 1582. Pope Gregory was bothered by the shifting seasons so he decided to do something about it. He changed the end of the calendar year to Dec. 31, he left 10 days out of October, and he added the “no leap year on a year divisible by 100 unless it’s also divisible by 400” part of the rule. So eight years ago the year 2000 was a leap year and was the first century leap year since 1600. I thought the part about the leap year was interesting. I never would have known that Pope Gregory and Julius Caeser had anything to do with it. It is fascinating that one day has so much effect on the seasons. Also I would like to thank Cardinal Sean for mentioning our class in his blog because it is a big honor to be recognized by the Cardinal. Jesus caminando entre la multitud, sintio que alguien le tocaba la tunica, volvio la mirada y bendijo al necesitado. Quiero hacer llegar a usted, Cardenal mis palabras de agradecimiento al permitirnos por este medio fortalecer nuestra Religion Catolica y por permitirnos tener un dialogo ameno y orientador. Este es mi sentir como Hispano residente en Boston. When writing, many authors first put down exciting information that will get the reader to read some of their story. Cardinal Seans Blog is very enticing. He puts exciting pictures and big events (such as the most current one, Leap Year) in the beginning to catch the reader’s attention. What many people miss though, are the small details at the end. The last paragraph of Cardinal Seans Blog, I feel is very important. He types ” the ongoing information of our priests and deacons is critically important”. Then he went on ” we are going to have deacon classes every year to get more men involved in this ministry. I think that it is important to have more people to teach others who are less aware about God. I feel this way because without priests or deacons we couldn’t hold a “proper” mass. Jesus is too important figure to be left unknown about. 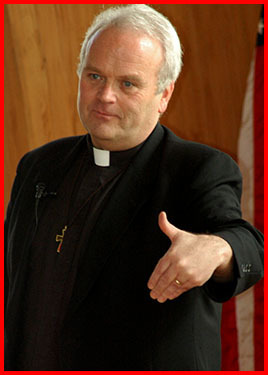 Which is why I think Cardinal Sean put that paragraph in his blog!!! Hi, this is Susie of St. Paul School in Hingham. I was so exited when I saw that you mentioned us in your blog. Thank you very much and I hope the one day you will come to visit. This time when I read your blog the part that interested me the most was the section on leap years. I learned about who created the leap year and why they created it. This part was prominent for me because I knew what a leap year was but I learned so much more than what I already knew. Thank you again for mentioning my school in your blog! 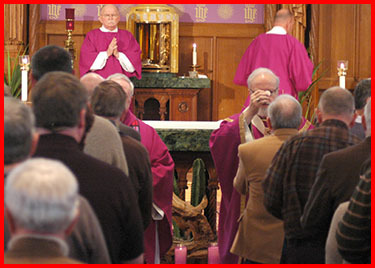 The part from Cardinal Sean’s blog I enjoyed the most was the permanent diaconate convocation at St. Patrick Parish. 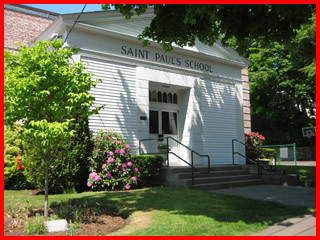 I was also excited when I saw St. Paul School on the blog. I was always confused about Leap year until I read your blog. I think it explains it very well. I don’t think that it would be right to have autumn beginning in mid-August. That would mean that Halloween would probably be pretty hot! (I guess that would be ok for the treak-or-treaters.) After I read your blog I got quite interested and “googled” Leap year. I started to read into a link that said we have smooth sailing for the next 3,300 years…because the extra 11 minutes and 14 seconds are eliminated. As I’ve said before i enjoy reading your blog and can’t wait for the next post!! Thank you for recognizing St. Paul School’s efforts to respond to your blog. That was very kind of you and we greatly appreciate it! My favorite topic in this blog was the Pew Forum on Religion and Public Life. It made me want to get more involved in spreading Christ’s message of goodness and love to others who need it. It also was very interesting to learn the certain percentages of people who are Catholics or practice other religions in America, and the cultures that mostly make them up. I had no idea immigration took a large part in the population of religious people that respond to Christ’s message. I am looking forward to responding to your informative blogs to come and I can’t wait to learn more about the Catholic Church from them. God bless. I was very pleased when I read all of the facts and graphs about religion in our country, specifically U.S. Catholics. 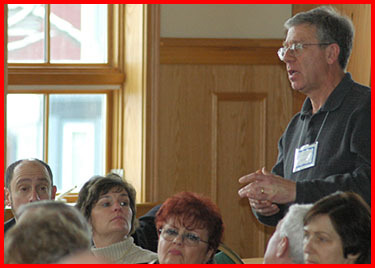 I was thrilled to see how many different kinds of people are in our Catholic community. I thought it was interesting that 54% of Catholics are females and that 46% of Catholics are males. I also referred to the “Age Graph of Catholics”, and it seemed that the ages of Catholics are pretty spread out. It was nice to see all of the different races of Catholics, because it shows how many different traditions we can add to our parishes. 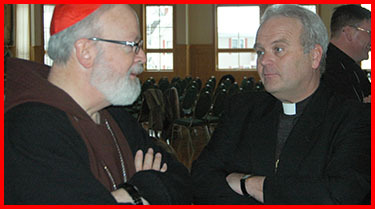 Cardinal Sean, we greatly appreciate your addition to your blog this week regarding our school, St. Paul’s. We thank you for taking the time to complete that. I am one of the students from St. Paul School in Hingham, Massachusetts and I really appreciate the article you wrote about us. I enjoyed reading this week’s blog. I thought the “U.S. Religious Landscape Survey” was interesting. It surprised me that a quarter of Americans have changed religious beliefs or say they have no formal religion. I didn’t realize that a quarter of the American population is made of people that follow the Catholic Church. It makes me sad to see that so many people are changing their childhood religion (the religion in which they were raised). I wish people would stay more passionate with God and keep the faith that he gave to us. I hope that more people will read your blog’s information and reply to it. 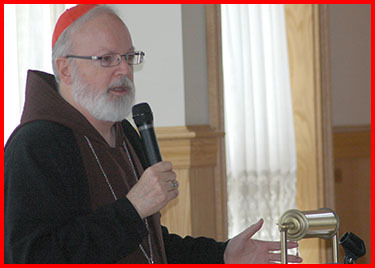 Cardinal Sean,I thought this was a marvelous blog and I learned a lot from it. 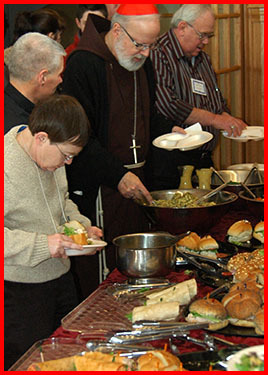 The part in Cardinal Sean’s Blog that caught my attention was the permanent diaconate convocation with the deacons and their wives. 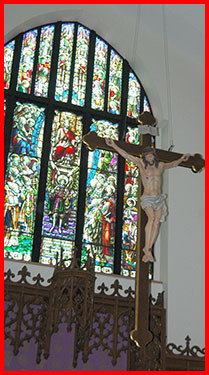 The church, St. Patrick Parish in Stoneham, looked beautiful with its stained glass windows and decorated alter. The real beauty was the fact that Cardinal Sean was there to spread Christ’s word with people who care. It also shows that he just wasn’t there to talk about Christ but he also socialized with the local people. If they were going through something hard to deal with or not, he probably give insight on life and some advice on what they can do. You, Cardinal Sean, have affected many lives, and I am honored to be able to read about all the wonderful things you have done for the world. 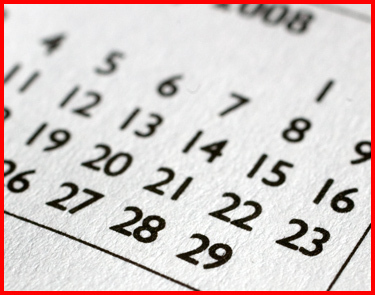 I always enjoy your weekly blogs and I was very interested in your entry about the leap year. I never knew that the leap year originated as far back as Julius Caesar and Pope Gregory. I learned that the leap year was established to keep the seasons from drifting into different months. In 45 B.C. 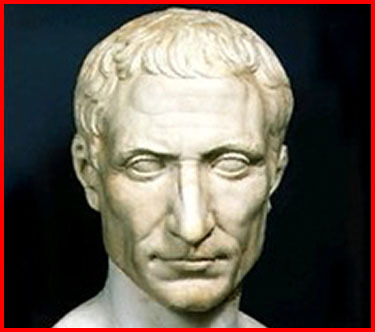 Julius Caesar tried to solve the problem by adding a day to the end of February. Despite Caesar’s attempts, the problem was not solved. Instead the calendar year was too long. In 1582, Pope Gregory solved the problem completely by changing the end of the year to December 31st and leaving ten days out of October. This selection has greatly informed me about the leap year. We all enjoy your blog posts at St. Paul School. Hi, I’m Christian from St. Paul school in Hingham. I have just finished reading your blog and I loved it! What I find most interesting is that people of different race, age, male or female do not go to church as much as one another. I think this is hard to understand because I would think that all of the above would want to believe in God no matter who they are. I would also like to thank you for the comments on our school. God bless! Hello, I am a 7th grade student at Saint Paul School in Hingham, Massachusetts. I was very intrigued about the interesting facts of Leap Year. I never knew that the last leap year to open a brand new century was over 400 years ago! I also was very interested to learn the fact that Julius Caesar and Pope Gregory invented this entire idea of the 29th of February, the day that only comes once every 4 years. I always believed that the time it takes for the Earth to revolve around the Sun was only 365 days, (there forth one year) but it turns out that there are actually 365.24219 days in one year. I believe that this whole blog is an excellent source of information, and should have word spread around to the world that it exists. People would be well informed and become much smarter in how the Catholic religion works. Your consistent hard work keeps our religion intact for all people and helps us to understand the symbolism of our lord. Hello. My name is Megan and I attend St. Paul School in Hingham MA. I must say that I do enjoy reading Cardinal Sean’s Blog, but this time I read it, the “Leap Year” section caught my eye. I think that Kimberly Donnelly explained the “Leap Day” definition very well. It makes sense if the year can be divided by 4, its a Leap Year. To come up with this, Julius Caesar and Pope Gregory must of been pretty clever! That is why Julius Caesar added a day at the end of February every four years. I even learned that if the calendar was off by .25, the seasons would shift a quarter every year. Pope Gregory did not like seasons running into each other, so he ended the calendar year on December 31 and took 10 days out of October. When they say, “You learn a new thing every day”, they sure aren’t kidding! Thanks for the blog. I’m living in Italy and it’s great to be in touch through your blog. A question. Why is it that in the pie chart above, widows/widowers count as not married? Your Eminence: I respect your position and authorithity in the church but am not comfortable addressing you by your first name. Is it approriate to address you by your first name or is it acceptable to to say “Your Eminence.” Also, is it still appropriate to kiss the ring of the Archbishop or is that considered “old school.” Just wonderinng from an “old school” Catholic. Cardinal Sean, I can’t believe that you would close the Propogation of the Faith office and the chapel in Downtown Boston! Why would you want to do that? It’s a shame that such a treasure of Catholic faith in Boston would be closed down! I urge you to keep it open! Hi Cardinal Sean,Im a reader from Brazil,you have a great blog,congratulations,adriano klopfer. Southern new england may have the greatest density of catholics in the U.S., but this is also one of the most abortion-friendly areas in the country. If catholicism means anything to new england’s catholics, we need to see more of them– physically– present in front of the area’s abortion clinics, counselling, praying, holding signs, protesting, shouting the truth about the barbaric destruction of life that occurs inside these clinics. I am not catholic, but I have protested for the past four years in front of Boston area clinics, and the pro life presence out there is meager in number (about ten of us show up regularly). Anyone can do a simple google image search using the words “aborted fetus”, and see instantly the results of planned parenthood’s services. 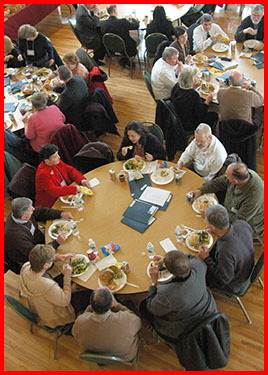 With this in mind, how can the area’s thousands of catholics and protestants who claim to be pro life, resign themselves, merely, to attending seminars, luncheons, talks, teas, get-togethers (see photos above), when main street’s clinics are suctioning brain matter out of babies’ skulls in the name of “healthcare”? 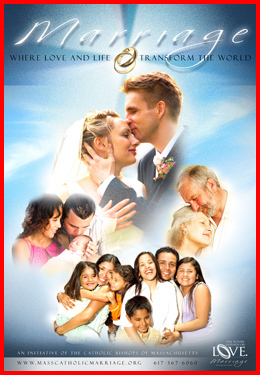 Thanks for providing all the great links to the marriage programs. This is the first time I have read your blog. Thanks for taking the time to communicate. The statistics were especially interesting and tell us a lot about our faith in this country and our state. Lots to do to build the church. Keep up the good work. Thank you for your weekly blog. And thank you for your ongoing support of the diaconate! sono padre claudio catucci e sono frate minore,ci accomuna il sacerdozio e san francesco d ‘assisi.Lei sicuramente non si ricorda di me,ci siamo conosciuti sotto la pioggia a roma vicino al colonnato di san pietro il giorno prima del suo concistoro. Volevo dirle che sono un suo fan perchè dall italia seguo sempre il suo blog che e’ molto meraviglioso.Sono vice parroco a Foggia,vicino San Giovanni Rotondo dove si trova il corpo di San Pio da Pietrelcina.Mi Benedica!Chissa’ un giorno ci ritroveremo!Un abbraccio serafico.